Make every move more rewarding. 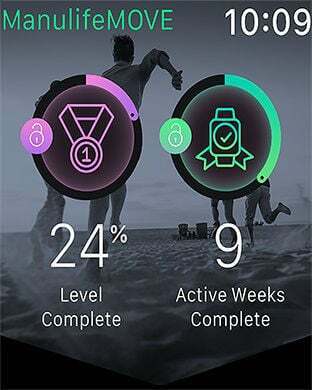 The ManulifeMOVE app promotes a healthy lifestyle by enabling members to track their progress against set fitness goals. Earn discounts on your premiums by signing up now! Get your MOVE on with ManulifeMOVE-supported fitness devices. Reach your activity goals and earn your next year’s premium discount for an eligible policy.